Doctor Who is one of my favorite shows, it’s campy, sweet, action packed, and fun. 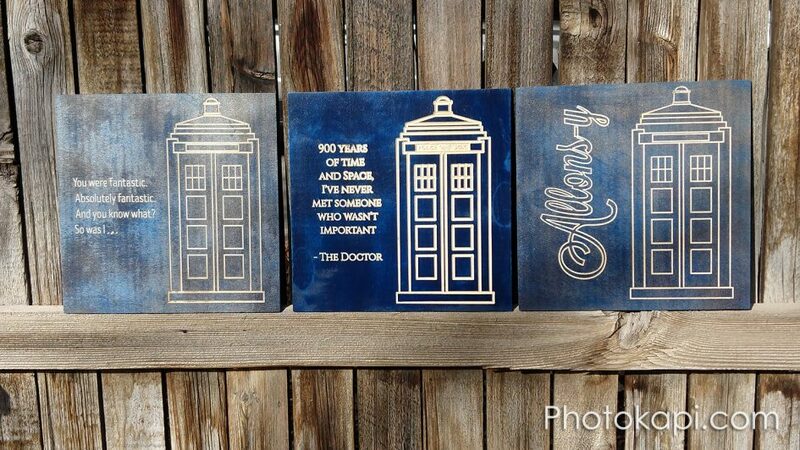 With that I mind, I decided to try making some wall hangings using the iconic Tardis (Police Box) and some fun quotes from the show. If you are interested, they are available for sale on my Etsy store at https://www.etsy.com/shop/Photokapi and you can see how they were made below.